“Unflinching, stunningly imagined” (Vanity Fair). “Amazing…Never has a fictionalized window into the relationship between slave and master opened onto such believable territory…[A] luminous book.” (The Atlanta Journal-Constitution). 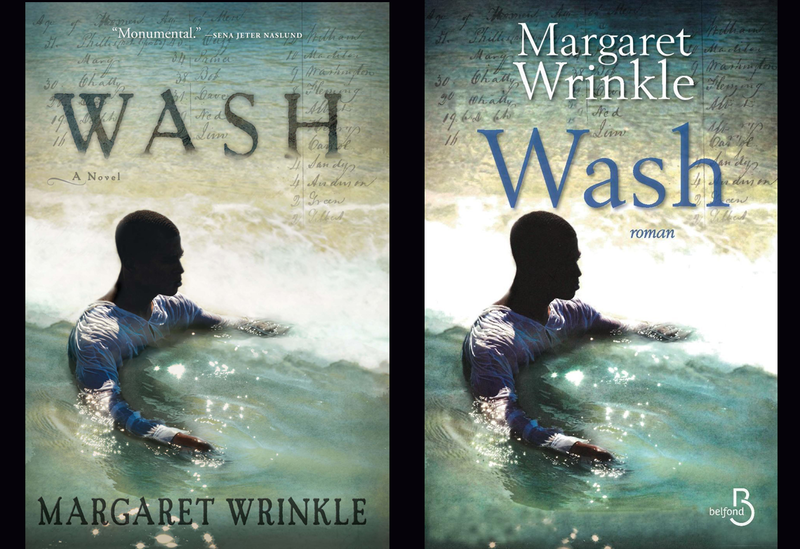 A New York Times Book Review Editors’ Choice, an O Magazine Top Ten Pick, a People Pick, Wash is the first novel by writer, filmmaker, educator, and visual artist Margaret Wrinkle, and the winner of the 2013 Flaherty-Dunnan First Novel Prize of The Center for Fiction, the American Book Award, and has just been short-listed for the Dayton Literary Peace Prize. Born in Birmingham, Alabama, Ms. Wrinkle confronts race in her fiction and takes an unforgettable journey across continents and through time, and deep into the ancestral stories that reside in the soul. She is also the creator of the award-winning documentary, broken\ground, which was featured on NPR. Her Arts Arena appearance coincides with the publication of her novel in French by Editions Belfond.